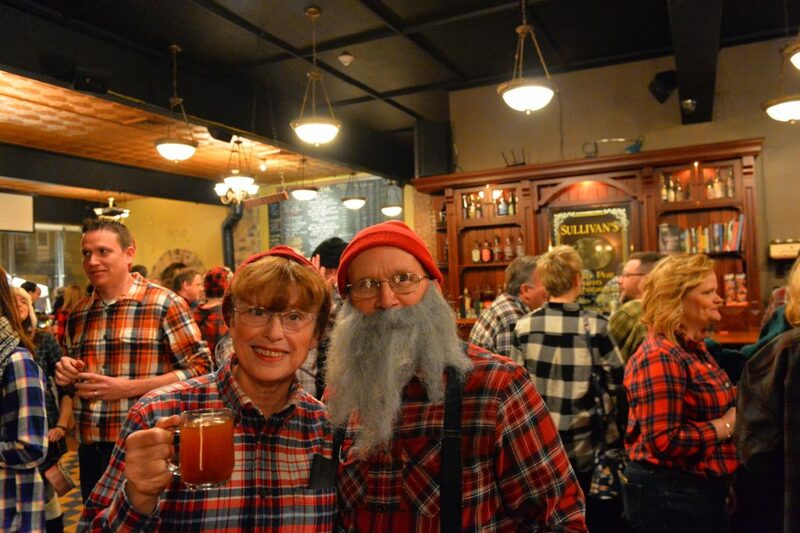 For one February night, The Bottlehouse Brewery Lakewood morphed into a sea of plaid complete with bushy beards, paper axes, pancake stacks and all the necessary elements for throwing a party fit for a true lumberjack. 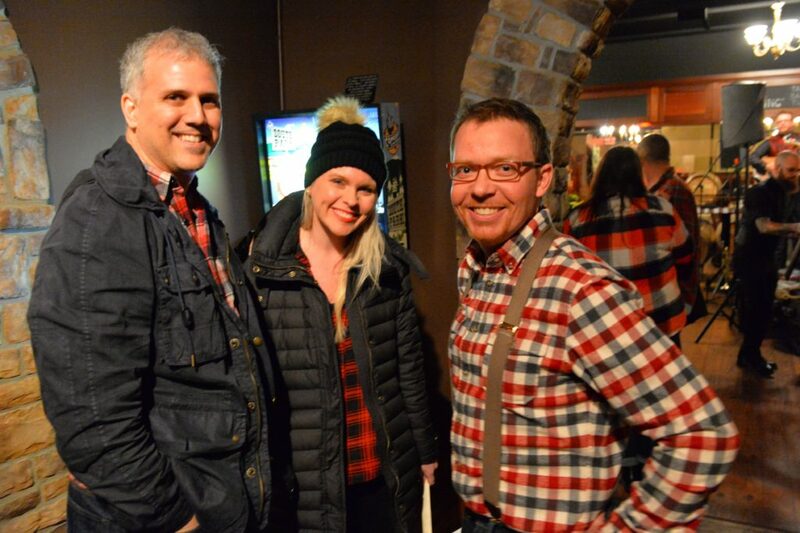 LakewoodAlive hosted Loving Lakewood: Lumberjack Bash presented by Geiger’s on Saturday night, February 25th, drawing a sellout crowd of 215 plaid-clad lumberjacks and jills. Proceeds from this fundraising event will support LakewoodAlive’s programming as we strive to foster and sustain vibrant neighborhoods in Lakewood. 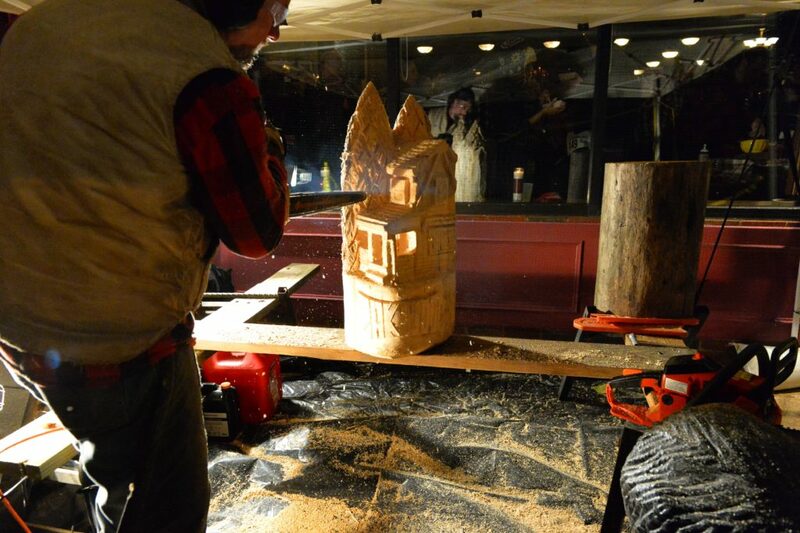 Before guests even entered The Bottlehouse, they were greeted by something you don’t see every day – a chainsaw artist on Madison Avenue carving a wooden sculpture. 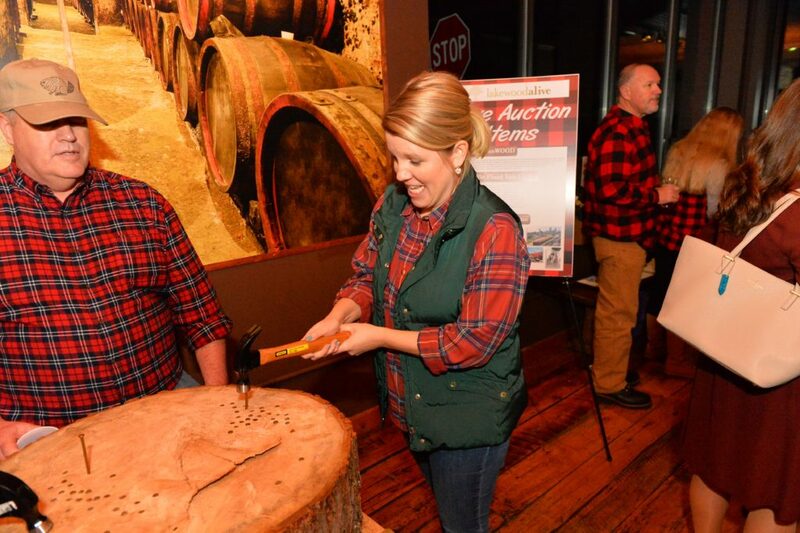 The final product, which featured a Lakewood-style home with tall trees and “Lakewood” carved into the front, served as a live auction item before the night was through. 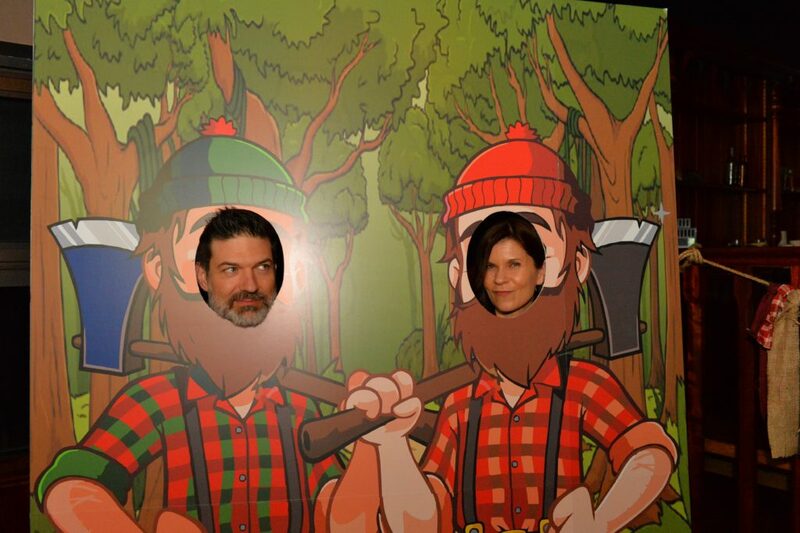 Once inside, attending lumberjacks and jills were chopping at the bit to enjoy pancakes and bacon-wrapped sausage links prepared by Karen King Catering, sample the Blue Ox cocktail and pose for photos at the “head in the hole” lumberjack selfie station. 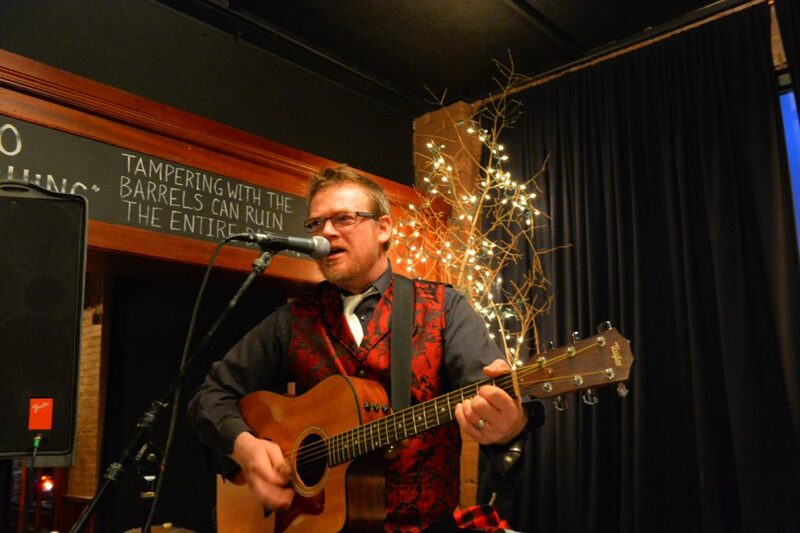 Cleveland-based band Lost State of Franklin enticed the crowd to dance their axes off by performing a lively brand of music that blended elements of folk, bluegrass and country. If you thought Hammerschlagen would be popular, then you hit the nail on the head. This crowd-pleasing game pitted attendees against each other in a contest to see who could hammer a nail into a wooden stump more quickly. Onlookers cheered and provided encouragement as Hammerschlagen participants practiced this basic carpentry skills in fun fashion. 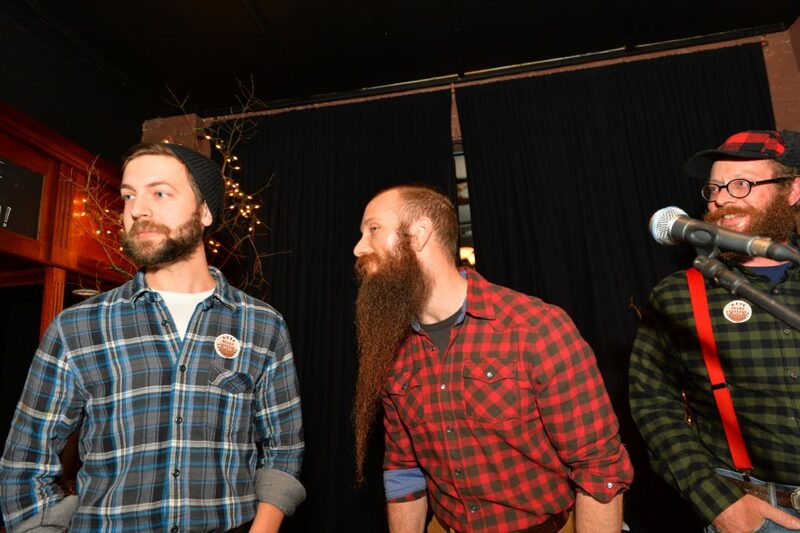 More than 30 attendees partook in the Epic Beard Contest presented by Men’s Cuts. 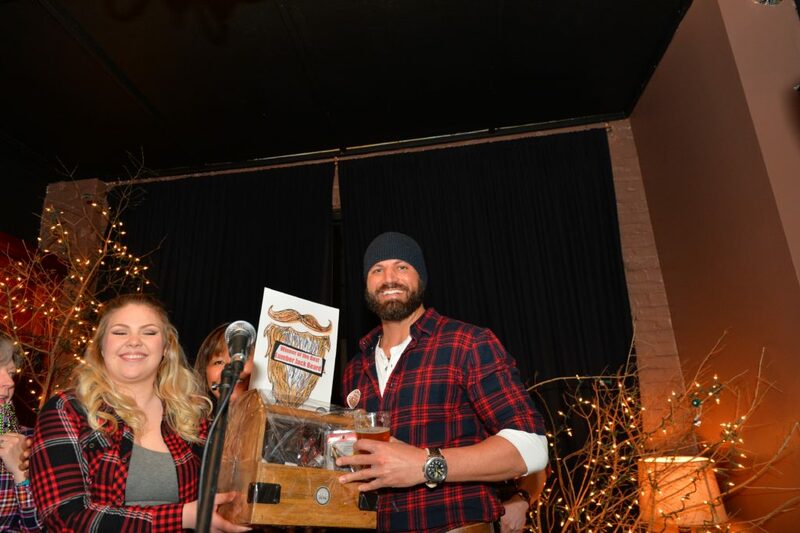 Contestants showed off their facial hair on stage, competing for the distinction of Most Unique Beard, Sexiest Beard, Longest Beard and Best In Show. Men’s Cuts, Rising Star Coffee Roasters and STEM Handmade Soap furnished contest prizes. During the Lumberjack Bash’s program, awards were bestowed to four individuals in recognition of their exemplary service to LakewoodAlive. Outgoing board members Sean McDermott & Rolly Standish and longtime friends of LakewoodAlive Ann Bish & Mary Bond each received customized wooden plaques designed by Lakewood freelance artist Jeff Ritchie. 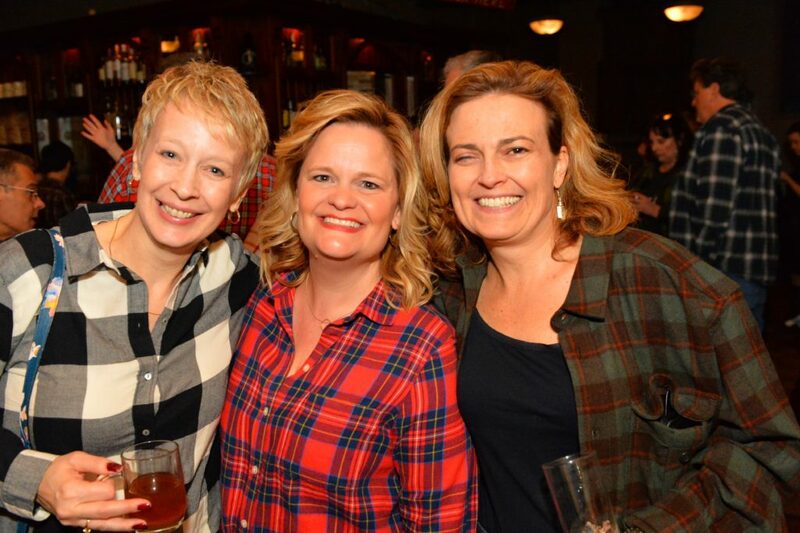 LakewoodAlive thanks the many volunteers who contributed their time and talents to this fundraising event, especially the following members of the Lumberjack Bash Committee for their tireless efforts: Julie Warren, Kelly Florian, Brittany O’Connor, Missy Toms, Lauren Brocone and Chrissy Kadleck. 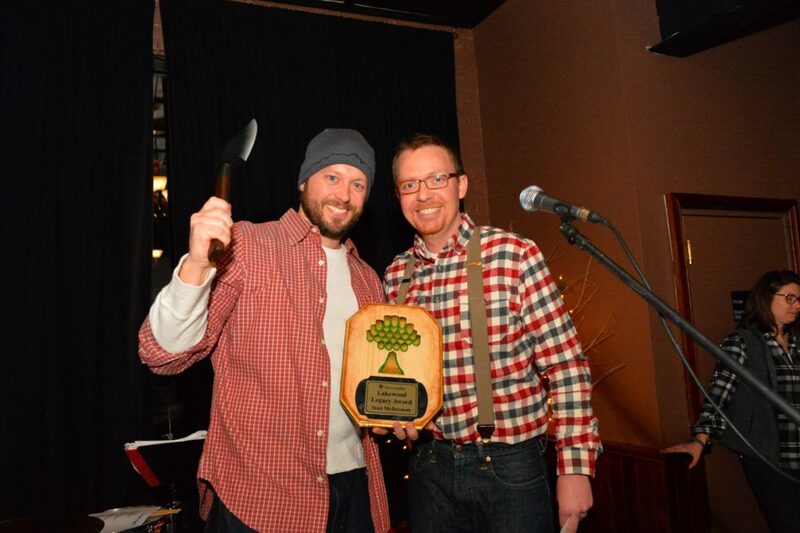 Loving Lakewood: Lumberjack Bash received generous support from the following sponsors: Geiger’s (Title Sponsor) Cleveland Property Management Group and First Federal Lakewood (Platinum Sponsors), Citizens Bank, Cleveland Home Title and M.V.P. Valet Parking (Gold Sponsors), Men’s Cuts (Presenting Sponsor for the Epic Beard Contest), Berkshire Hathaway HomeServices, Brennan’s Floral Gift Shop, Clark Wealth Management, Cleveland Lumber Company, Erie Design, King’s Kitchen, Lanter Legal, Lion and Blue, Moore Yourkvitch & Dibo, NEO Realty Group, Plantation Home, Relief Properties, Ride + Workout, Scalish Construction, Sentry Protection Products and Wegman, Hessler & Vanderburg (Silver Sponsors). 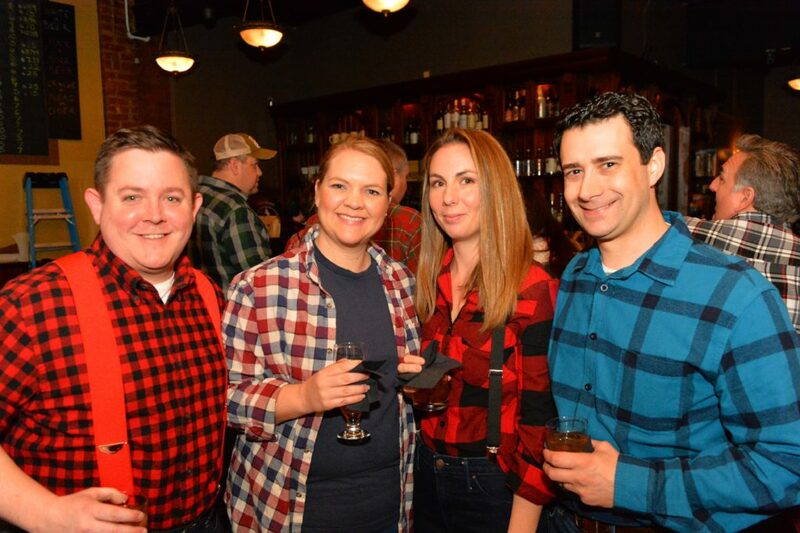 Click here to view our complete photo album from the Lumberjack Bash, courtesy of Alex Belisle/Faces of Lakewood.